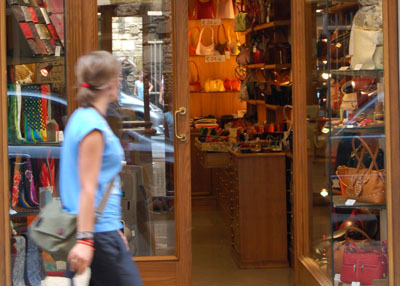 Sure – I love to shop in Italy! I handed the keys to a bellhop (who scratched his head at our rental car’s empty trunk), got the rest of the family settled and went out into bright sunlight. Duomo, check! Baptistry doors, check! I skirted the tourist stops on my way to La Rinascente, central Florence’s big department store. Designer clothes galore, but no children’s clothes that I could see. We went at it as a family the next day. ‘I vestiti per i bambini? Si, si,’ a smiling padrona nodded sagely and pointed us into a labyrinth of tiny streets. Several turns, and we were deep into a Florentine neighborhood. Very few people were on the street, but we could hear shouts and laughter from open doorways. Halfway down one block, we found the clothing store: closed for the mezzojourno – the midday meal. We traipsed silently back toward the leather market. On a nearby corner, the wafting smell of garlic drew us in. Something about our strained faces gave the proprietor a new burst of energy. He beamed at us, opened his arms, showed us to a table with overblown gestures. We were enveloped in a kind of steamy funk, with fresh cheer and laughter all around us. A glass of wine, sodas for the kids, and we slowly drew ourselves back into the world. And then, the crown of comfort: a huge plate of spaghetti carbonara, big and bold and bursting with flavor. Comfort food at its best. Kid’s clothes? We’ll just forget about it for now. Mangia, mangia – let’s eat! Liner Notes: This is a simple pasta preparation. What is of absolute importance is that the components and the pasta bowls are all hot when the final dish is assembled. This assures the complete melding of flavors and adequate cooking of the eggs. Roast the Garlic: Preheat oven to 350º. Peel 10 cloves of garlic and cut into almond-sized pieces if the cloves are large. Put a generous tablespoon of oil onto the center of an 8-inch sheet of foil, plonk the garlic on top and fold to make a sealed pouch. Bake for 12 minutes, and set aside. Do not open foil pouch for at least 5 minutes after removing from the oven. Cook the pasta: Bring water to boil in a large pot. Add the pasta and time for 1 minute less than the cooking instructions. Cook the prosciutto: Heat the rest of the oil in a 12-inch skillet over medium-low heat. When there is 5 minutes left on the pasta, add the prosciutto. When there is 2 minutes left on the pasta, add the garlic. Lower the heat if necessary. You want these ingredients hot but not sizzling. Heat the bowls: Put 4 pasta bowls or wide soup bowls into the oven to heat for 2 or 3 minutes. Final cooking and plating: Remove pasta when slightly undercooked, and drain in a colander.Whisk the two eggs vigorously and set aside. Bring the prosciutto and garlic back up to medium heat and toss in the pasta, primping it as you would a stir-fry. Cook for a minute or two. Remove the bowls from the oven and set to one side. Add the noodles, dividing them and the toppings into four portions, and put some of the egg directly over each portion, stirring slightly. When the egg has set (30 seconds or less), top generously with pecorino romano cheese. Toss lightly. Serve immediately with thick slices of foamy ciabatta bread (or Lago di Como bread) and slathers of fresh butter. If this doesn’t make you feel better after a long day, then I’m afraid there’s no hope for you! (Just kidding of course.) Enjoy! Molto bene! How delicious and what a great picture! Check out my post. I have a giveaway on my blog. Have a great day! Delicious! 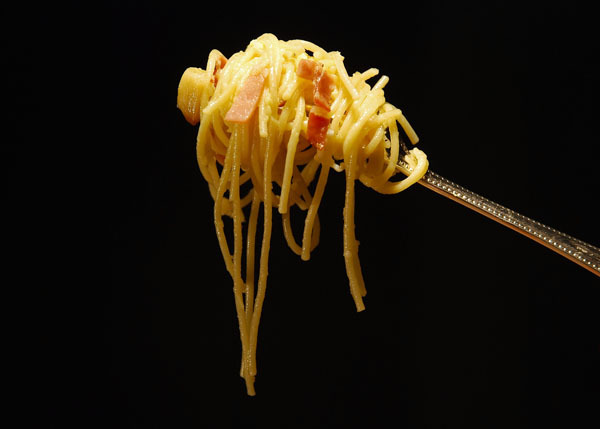 I love your picture of spaghetti carbonara on a fork! I hope your bags appeared. Your’s is a new way of roasting garlic. Twelve minutes rather than for half an hour is a much better amount of time. Love carbonara and making it this weekend for a post. Do not do all that garlic – but oh my – the aroma of garlic trumps shopping any day of the weeks. Love the photo – can taste it. Love Carbonara and just made it the other day. You’re so right about everything being hot – the melding makes the silkiest of sauces. We must be on the same wave length, I’m talking about Roman pasta on my site. “Yum” is putting it lightly. This looks delicious. I just read your ABOUT page. 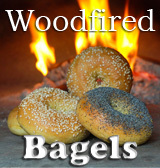 I say good for you and your woodfire! That is incredible. I wish that if you were ever in Phoenix that you would go to Pizzaria Bianco. He might not top your incredible pizza, but I would like for the manager to meet you. You two would have a lot in common. He makes every pizza himself with his brick oven grill and is the coolest guy. Let me know if you ever do! 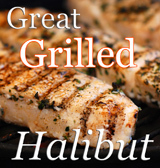 Either way I am happy to of found your blog and experiences with cooking amazing dishes. my first time on this site, looks like I picked a winner right off the bat. can’t wait to try this, thanks. Sounds yummy, but i am unsure of the uncooked egg part on top of the noodles. is it sort of like fried rice with the scrambled egg? This is the only tricky part about Spaghetti Carbonara. You have everything very hot before you put on the egg (only 1/2 egg per serving, mind you) and then the cheese. As long as the spaghetti is really hot, the egg cooks right onto the sides of the noodles – not hard-cooked but more like a sauce. It sounds weird, but it works. Makes me feel better after reading it! It’s just the meal after a long flight and no luggage. Add a bottle of wine and there’s nothing better! OMG – haven’t had dinner and you’re making me hungry! Who needs shopping when you have carbonara like this? Beautiful! Watch out for those leather vendors in Florence. I got scammed a number of years ago. Look delicious, I see that you didn’t use cream in this which makes it a little figure friendly. Thaat picture of spaghetti on the fork wins me over. I need a big bowl now!It looks sooo goood! Love all the flavour there. Oh, we used to make a fabulous carbonara that, just as you explained, seemed to come together in a magical sort of way. How is it that the eggs are cooked, but not scrambled? Really, it IS magic. And the taste! Well, you’ve convinced me to either dig up our old recipe, or head straight to yours. It really is restorative, especially in the depths of winter’s embrace. Thanks for the inspiration. That looks so delicious… love the black backround… makes the fork jump out at you! Looks yummy but agree with Scott..pepper might be nice! I cook from memory, and add my own flair to enhance the experience. The carbonara I’m remembering was from a small restaurant in Florence, where the best local olive oil is peppery on the finish. If there was black pepper in the dish, I don’t recall it. The roasted garlic is my own addition. By all means, feel free to add black pepper, but with good olive oil this dish can stand alone without it! I love Carbonara , but I never made it with roasted garlic. What an awesome twist to it. thank you lord for not adding cream. we need to push the no cream in carbonara thing here in the states. looks beautiful. My mouth is watering just reading the ingredients. Love pasta specially paired with garlic. I haven’t seen any comments for 2016. I think that is a beautiful website for your kitchen and awesome recipes for those short notice meals.